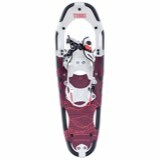 Designed specifically for a woman's stride and for moderate terrain use, the Women's Elektra Access Snowshoe offers a great combination of technology and comfort for the day hiker or the fitness enthusiast. The really easy binding system lets you step in, pull two tabs, then away you go...can it get any easier than this? 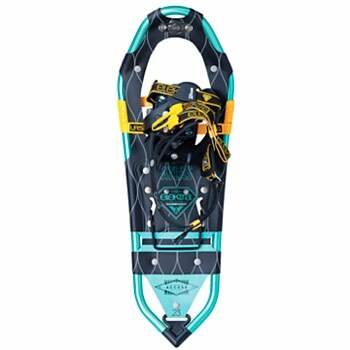 Atlas's Patented Spring-Loaded Suspension (SLS) Suspends your foot in the snowshoe so it can move freely with it's own natural articulation. 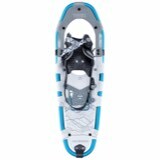 The suspension absorbs impact and allows your foot to flex naturally side-to-side for a comfortable, stable position on traverses and uneven terrain. SLS also enhance traction control by letting your foot flex down into the slope, gaining more grip no matter how steep or off-angle the terrain. 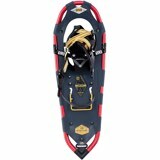 It's simply the best, most comfortable way to snowshoe. Women-specific means Boimechanically engineered for women for the most natural stride possible. Spring-Loaded Suspension (SLS) which is a Suspension system that allows natural articulation of the foot for unmatched control and comfort. Wrapp binding New one-piece Wrapp binding cinches completely with one easy pull on the web loop. 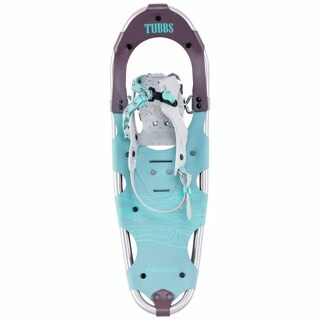 Specifically molded for right and left feet, the flexible finding cradles and wraps around the foot for a comfortable, warm, and secure fit. 6061 aluminum V frame 6061 aluminum is proven and durable, and atlas's stiff proprietary V shape provides a smooth-feeling suspension. 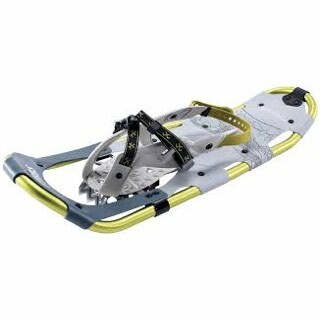 Stainless steel All-Trac toe crampon is Tried and true, our durable toe crampon provides sure-footed traction. Aft traction Stainless steel heel cleats add traction.